At the 2012 TEDxReset Conference in Istanbul, futurist speaker Thomas Frey predicted that over 2 billion jobs would disappear by 2030, led by big losers in the power, transportation, and education industries.1Thomas Frey. (February 3, 2012). 2 Billion Jobs to Disappear by 2030. Retrieved from http://www.futuristspeaker.com/2012/02/2-billion-jobs-to-disappear-by-2030 Most of the jobs cut will be casualties of economies of scale and efficiency. This isn’t a new threat. Automation has evolved its bulls-eye; having decimated the labor markets of the agricultural and later industrial models, it has now aimed treacherously toward a human capital-heavy, professional service sector. What does digitization and automation mean for the financial industry? Forget the advent of automated teller machines. ATMs and even credit cards are beginning to become artifacts in an era where nearly every professional entertains the processing power of a fully-functioning computer in their pockets. Consider that the equivalent of 87% of the world’s population comprises the total mobile subscriber universe.2Global mobile statistics 2012. (Feburary 2012). PART A: Mobile subsribers; handset data; mobile operators. Retrieved from http://mobithinking.com/mobile-marketing-tools/latest-mobile-stats#subscribers In the US, about a quarter of web users are mobile-only.3Global mobile statistics 2012. (Feburary 2012). PART A: Mobile subsribers; handset data; mobile operators. Retrieved from http://mobithinking.com/mobile-marketing-tools/latest-mobile-stats#subscribers Now, even the precious plastic of credit card providers is slowly losing its behemoth share of commerce to smartphones with new technologies that embed banking and payment options. 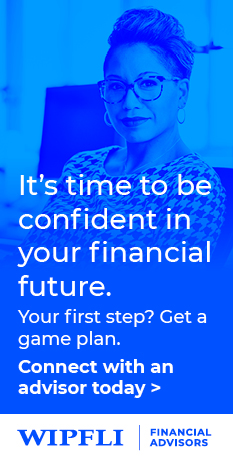 The Apple App Store and Android Marketplace have numerous financial planning and advising apps, including ones by big banks and web power players such as Mint.com. In 2011, over 15% of all finance searches were mobile.4Global mobile statistics 2012. (Feburary 2012). PART A: Mobile subsribers; handset data; mobile operators. Retrieved from http://mobithinking.com/mobile-marketing-tools/latest-mobile-stats#subscribers These numbers may be chalked up to an increased need for information (accompanying wealth gains in participating parties), and easier, frictionless access to Darwinistic search engine results all vying for valuable face time and loyalty. Many of the apps and web-based tools for the finance industry have been complementary to real-life advice and direction from planners, advisors and accountants. Many of the tools are powerful calculators for specialty-professional use. Others simply grant 3rd-party access to account information. But what happens when software rears its head directly toward the interactions that define the relationships of clients with their advisors, planners and CPAs? The service is similar in style to Mint.com: It pulls different account information onto one platform and then offers a real-time, insightful overview without the need for any manual entry. What’s their secret sauce? How do they make money? Sounds perfect, no? Maybe we should all call the finance industry quits and bow down to our algorithmic software overlords. The financial services industry is more vulnerable than ever, right? Sound familiar? There are limits to the processing power of an algorithm. Software cannot be aware of your experiences, dreams, hopes or fears. Software does not understand your tolerance for risk, and even if it did, we as consumers require explanations and qualifications from our service professionals. Without addressing the core weakness of this or any other start-up, how can something as important as your financial future not be a nuanced communication process and long-term exploration? Relying on software to give you answers on your IRA or 401k without any description of why or how, for example, is akin to relying solely on WebMD for your health diagnosis and treatment options. Now imagine if WebMD was flawed by numerous conflict-of-interests. Maybe tools like this app are not as threatening as we think. As we mentioned above, technology helps evolve job roles and responsibilities in specialty knowledge areas. Wealth management is not the same as booking the cheapest flight online. The depth of investment options, asset allocation decisions, and risk tolerance relies on a variety of critical but personalized assumptions. A chart comparing different funds and offering hypothetical earning opportunities does not take into consideration the nuisances of market volatility. In fact, most times only a subject-matter expert will completely understand the “how’s-it-goings” of an account feed. Apps like this shift the focus to trading more, which generally correlates negatively to long-term returns. Furthermore, when hackers have broken into the security systems of commerce giants such as Visa, will users feel comfortable giving all of their bank and account passwords to a start-up, even if the encryption means the company doesn’t actually see any of the information? Storing all of that sensitive information on a server is a risky bet. Moreover, while advisors are accountable to their clients (especially fee-only and fiduciaries) and heavily monitored by regulatory agencies, new tech tools are not as scrutinized. The firm we’ve been talking about, for instance, earns a commission only on new investments made through the site’s recommendations, and they insist that there is no “pay-to-play…[no] privileged ranking.”9Taylor, Colleen. (May 1, 2012). SigFig Launches To Be The Data-Driven Financial Planner Of Your Dreams. TechCruch.com. Retrieved from http://techcrunch.com/2012/05/01/sigfig-beta-launch/ Again, how does the client verify this? What guarantee does a client receive that this won’t change? Whereas transparency is a mandate of the firm philosophy in financial advising offices—“this is what we do and this is how we do it”—mobile tools like this barter clarity for convenience. Rest easy, advisors. Your job is safe for the time being—at least until GoogAppleMazonBook builds a semantic robot that draws on a lifetime of web and mobile data. In that case, it will probably be smart enough to delete this article off the face of the Internet!